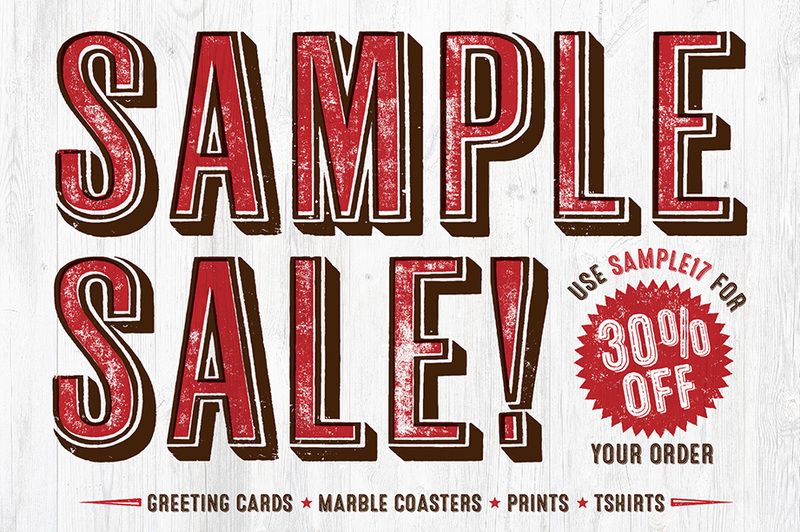 While cleaning out our storage we’ve found several boxes of products and samples we didn’t realize we had, so we are selling everything in our online store for 30% off! Limited quantities available. There are lots of items great for holiday gift giving! We have tumbled marble coasters, t-shirts, greeting card sets (several have winter scenes great for holiday cards), poster prints, and there will may be some fine art prints as well. Use the code SAMPLE17 for your 30% discount. If you are a Nashville resident, you can save on shipping by selecting “local pickup” and give us a call to confirm a time and location. Also–our flat rate shipping is $7.50, but if you purchase lightweight items, we might be able to give you a shipping discount as well. Call us at 615-942-2930 to discuss! Click here to shop our online store and don’t forget your SAMPLE17 discount code at checkout!